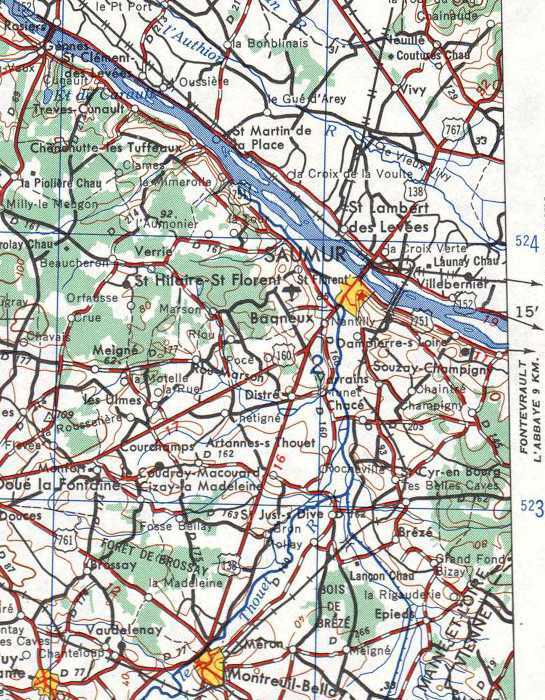 We will make shorter trips out of Saumur, south to Montreuil-Bellay on one day, and to the northwest, downstream along the Loire, to Saint-Hilaire-Saint-Floret, Trèves-Cunault, and Cunault. Fulk Nerra built a donjon style of castle at Montreuil-Bellay by 1026. 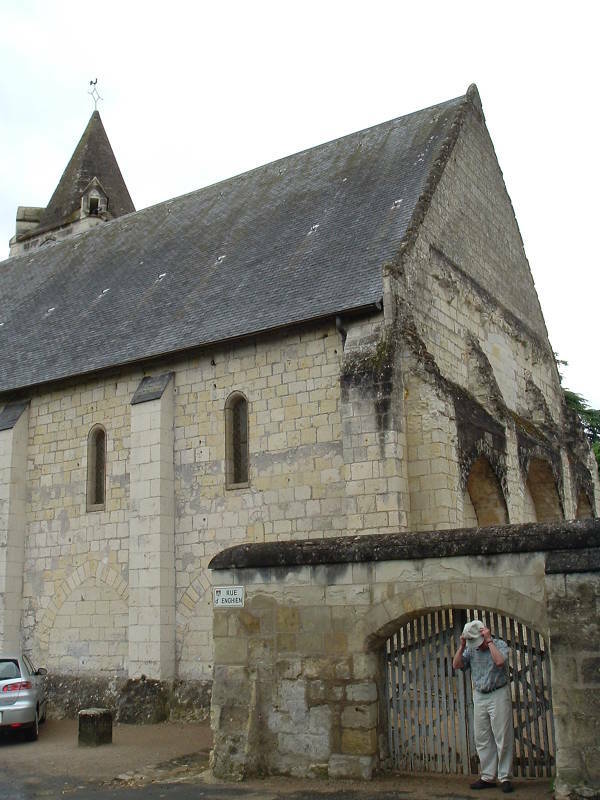 A small monastic settlement was established here, and the parish church of Saint Peter was built soon after, near the priory of Saint Nicholas, called Les Nobis, which was founded between 1097 and 1103. 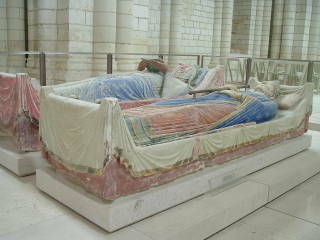 Fulk V the Young became the Count of Maine and Anjou in 1109. 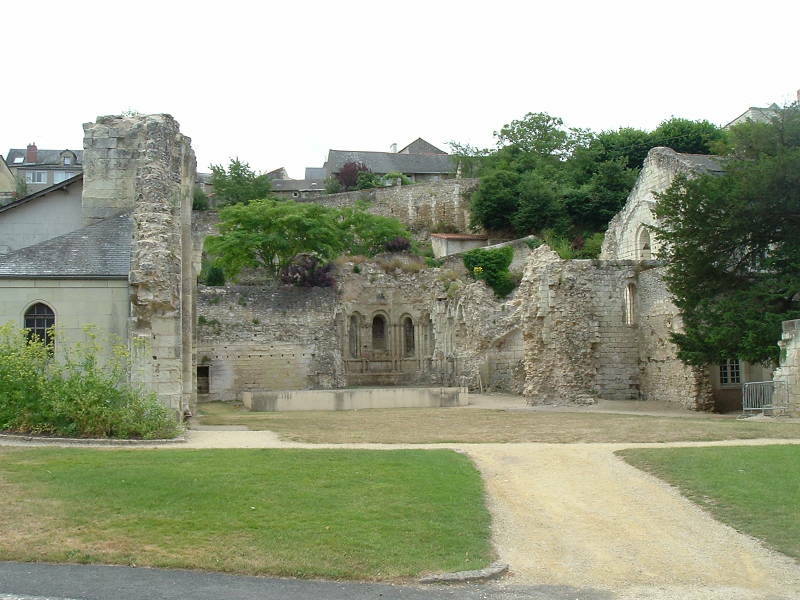 He forced several rebellious vassals to submit to him, capturing several castles include the one in Montreuil-Bellay in 1124. 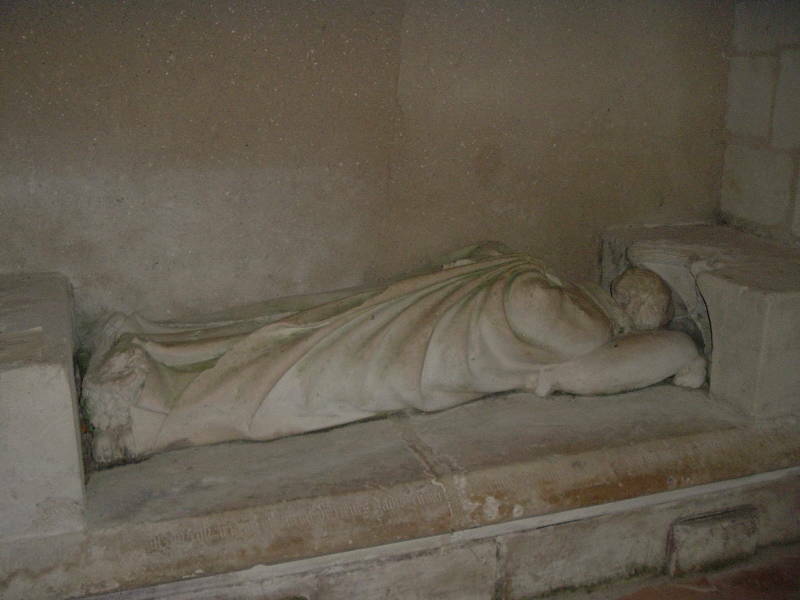 Several years later the barons of Anjou rebelled. 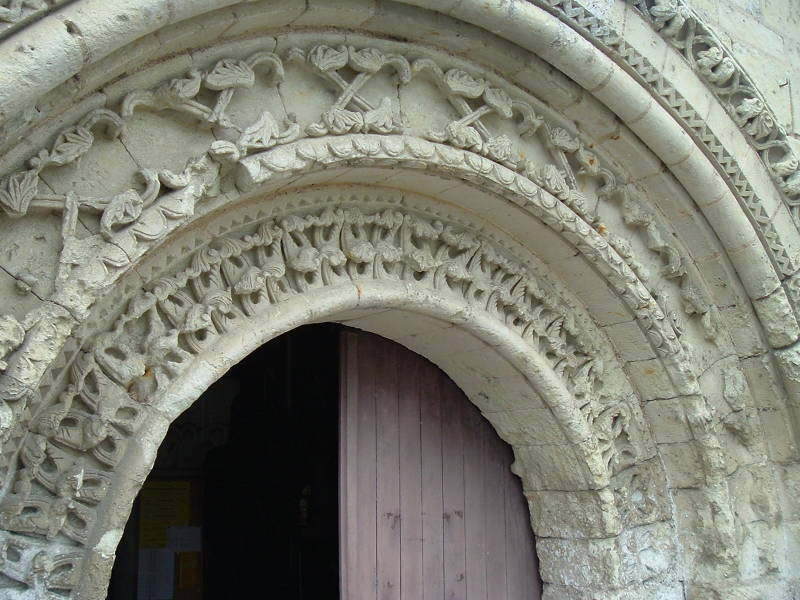 It took several years of siege by Geoffrey V of Anjou, starting in 1148, for Montreuil-Bellay to fall. 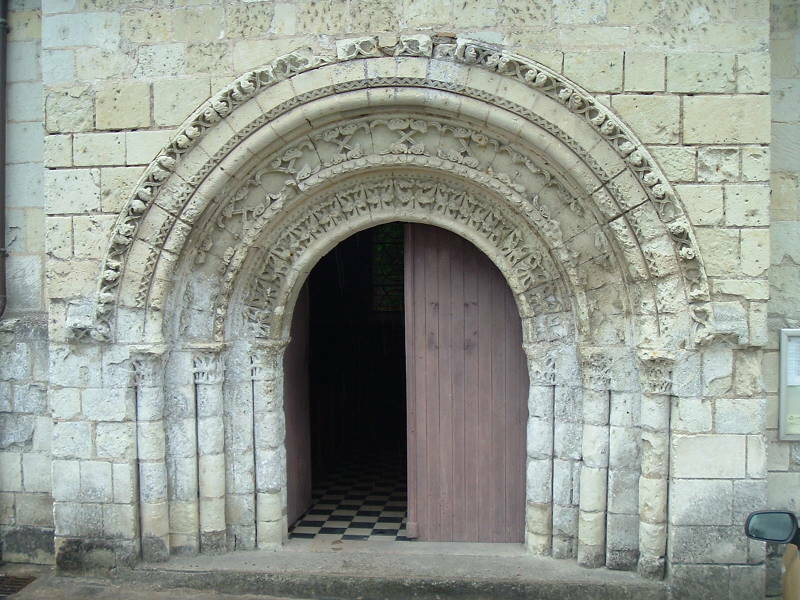 The lords of Montreuil-Bellay undertook some improvements in river transport, and were granted lettres patent by King Charles VII allowing them to impose a tax on the wine being transported through the area. 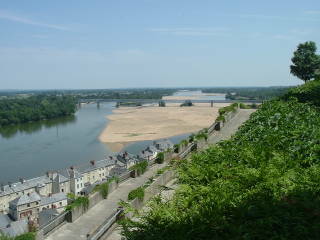 The regional administrative center was moved to Saumur during the Revolution, reducing the commercial and administrative importance of the city. 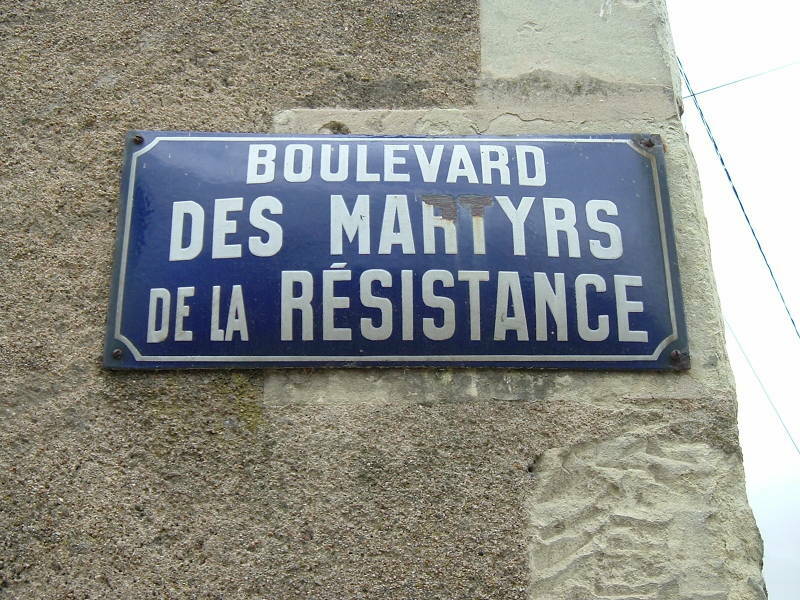 From November 1941 until January 1945 the occupying German forces set up a concentration camp at Montreuil-Bellay on the site of a French artillery depot. The Vichy government operated it, imprisoning Gypsies or Roma from the region. In July 2010 the camp ruins were listed as a historical monument to prevent their total disappearance. 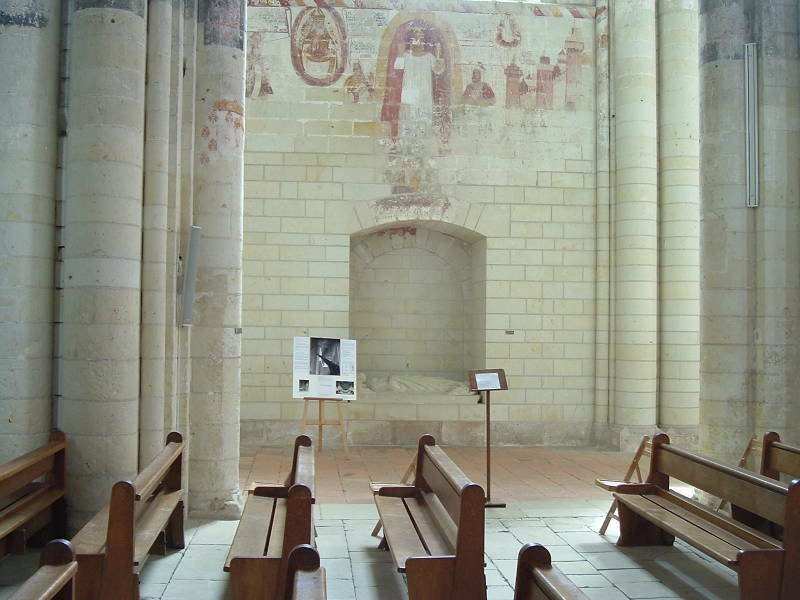 The villages of Saint-Hilaire and Saint-Florent merged into one community, and now they have been absorbed as an outlying district of Saumur, just downstream along the left or south bank of the Loire. 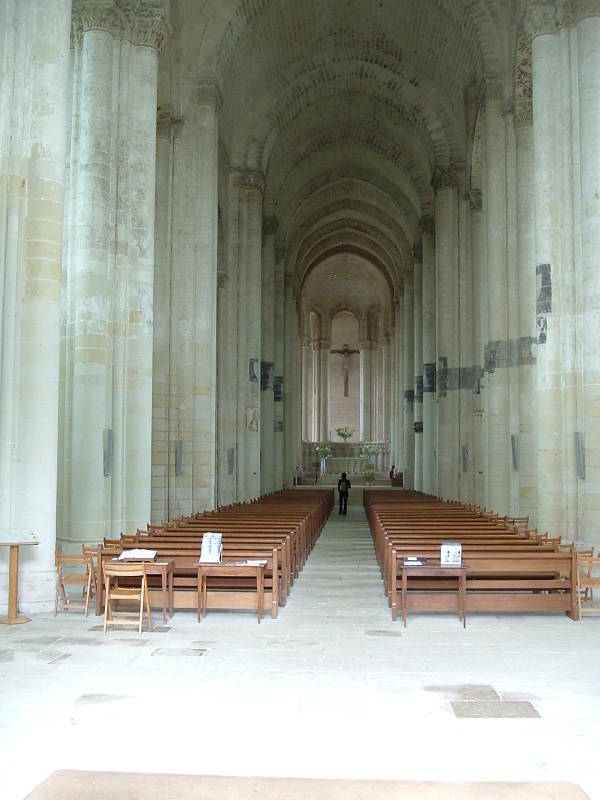 The church of Saint Hilaire-des-Grottes is found there. 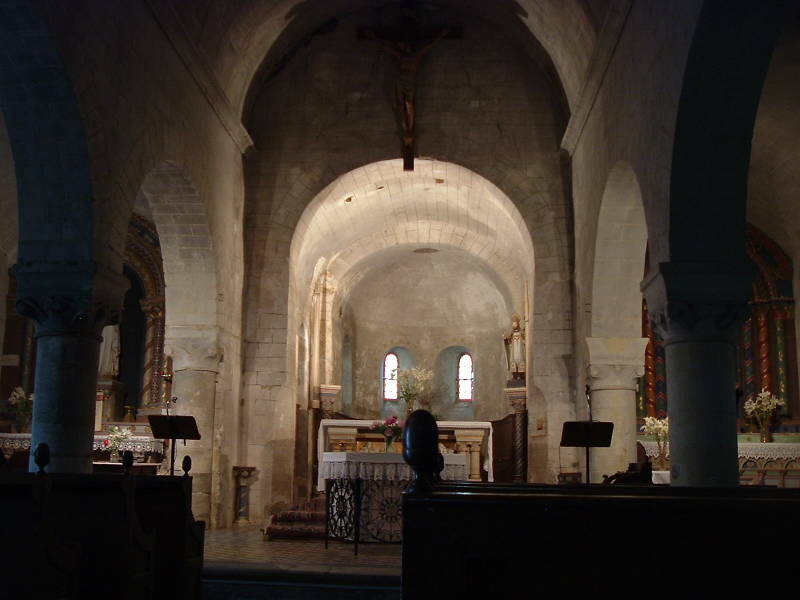 The Church of Saint Hilaire-des-Grottes in Saint-Hilaire-Saint-Florent houses the tomb of a man said to have known Jeanne d'Arc. 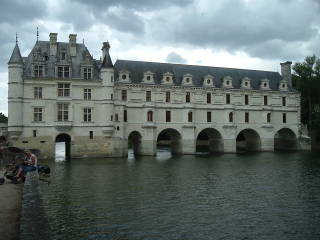 Small settlements along the Loire bank have been amalgamating. Upstream from Gennes there was Trier, more recently known as Trèves-Cunault, which merged with Chênehutte-les-Tuffeaux to become Chênehutte-Trèves-Cunault, which even more recently merged into a larger community of Gennes-Val-de-Loire. Trevie was mentioned in 1036, Trevis castro in 1035-1053, Treves in 1793, Trier in 1801, and then it merged into a relatively new settlement to become Trier-Cunault. 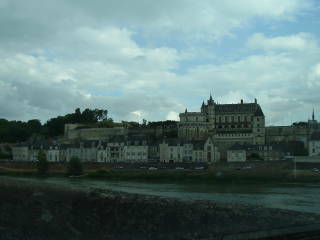 A castle, Château Trier, was built here soon before 1026 by Fulk Nerra when he was besieging Saumur. 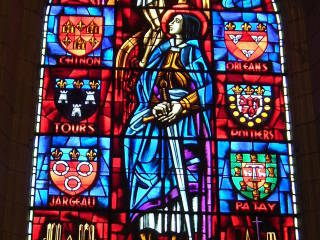 In 1230, the war between the kings of France and England inspired the authors of the prose tale of Lancelot. Castle Trier is described in this long novel as one of the strongholds of the allies of King Arthur, and the birthplace of Lancelot. Castle Trier was mostly demolished in 1750, leaving only the ruined dungeon. 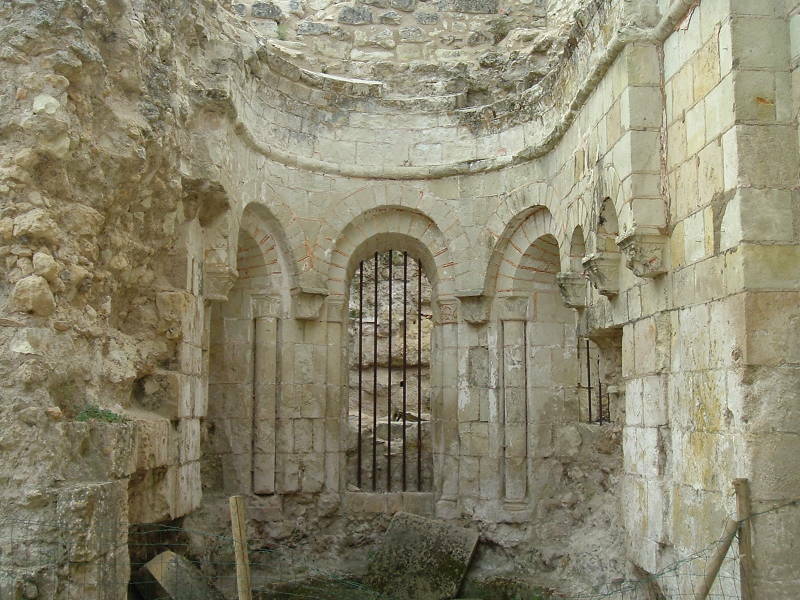 A large staircase leads down toward the dungeon where remains of some vaulted rooms including the kitchens can be found. 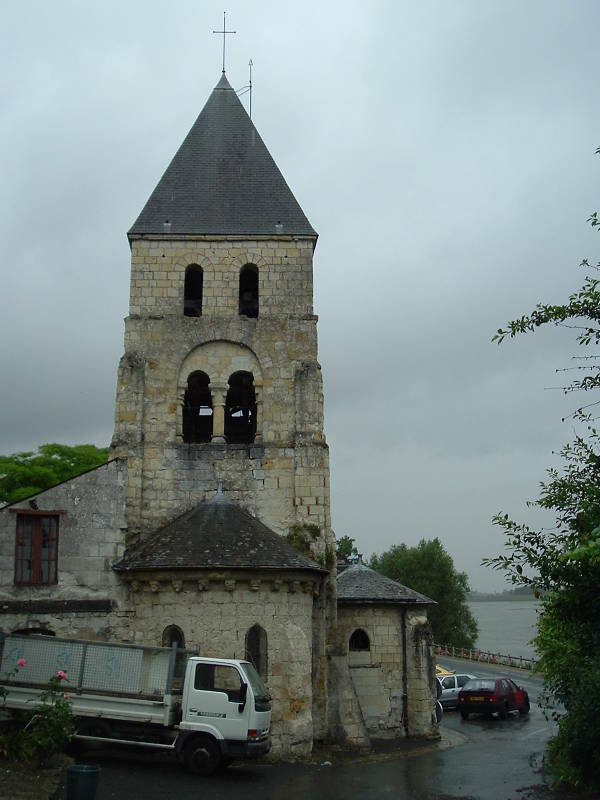 The old church in Chênehutte-les-Tuffeaux is right on the road following the south bank of the Loire river. 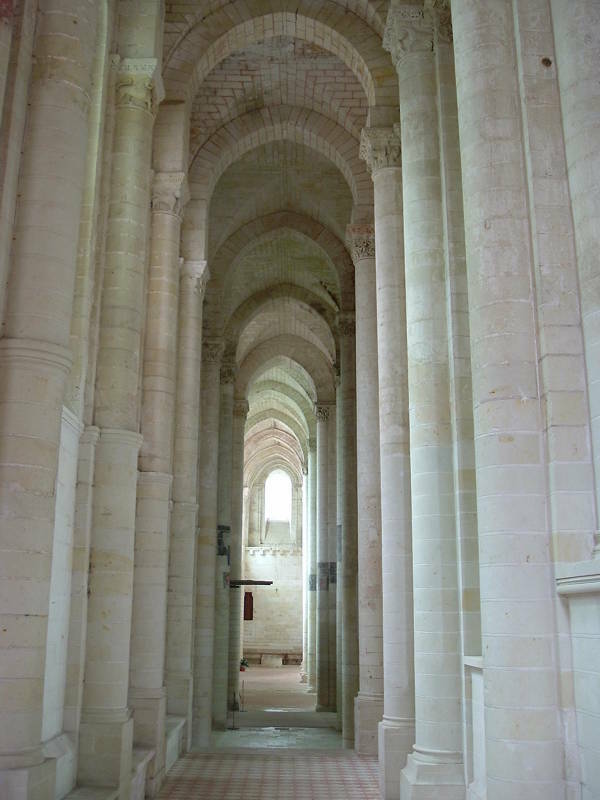 The church is very Romanesque in design with very simple geometry. 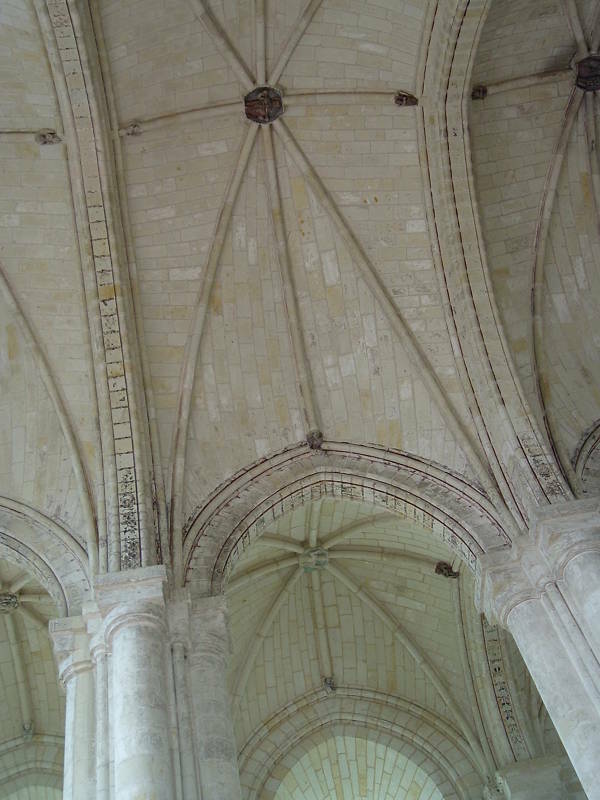 The ceiling of the nave is a simple half-cylinder, and semi-circular arches supported by thick columns separate the side ambulatories. 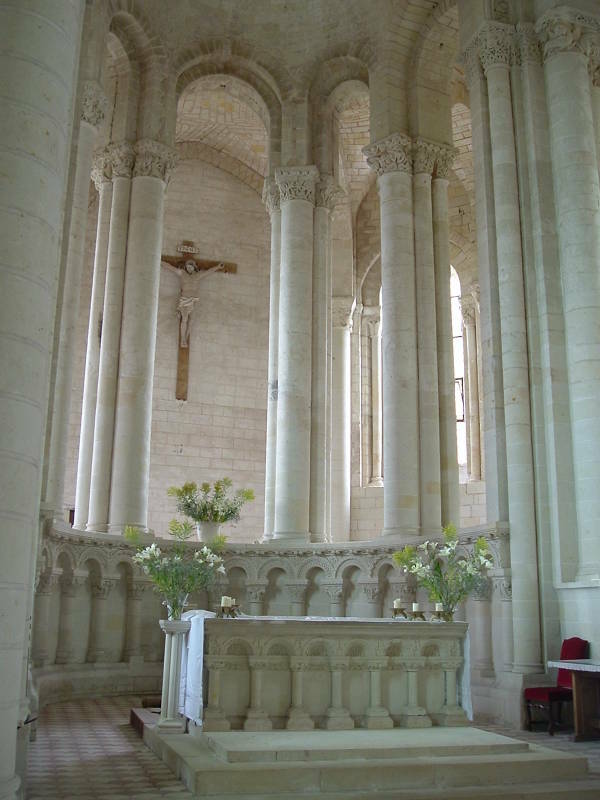 The first building in Trèves-Cunault was a monastery founded in the 4th century by Saint Maxenceul, an evangelist of the region. 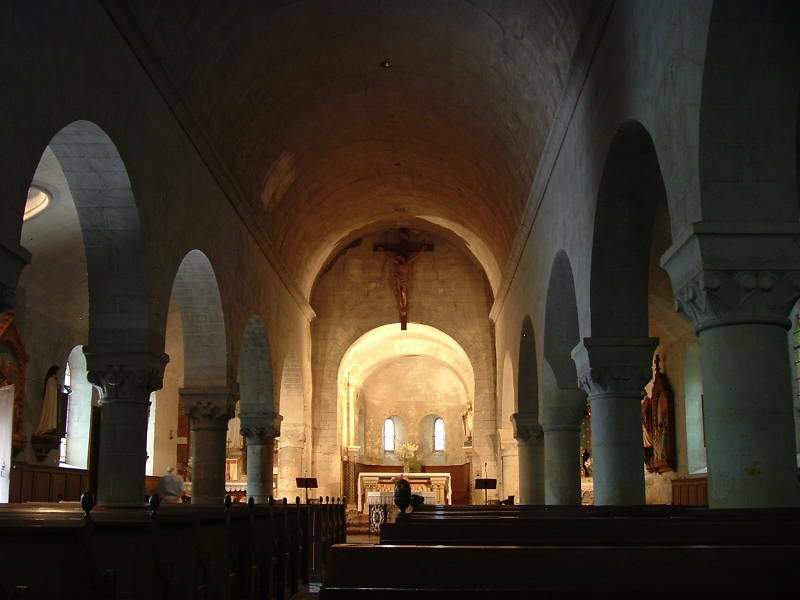 The monastery was destroyed and the monks driven away by the Norse raiders in the 9th century. 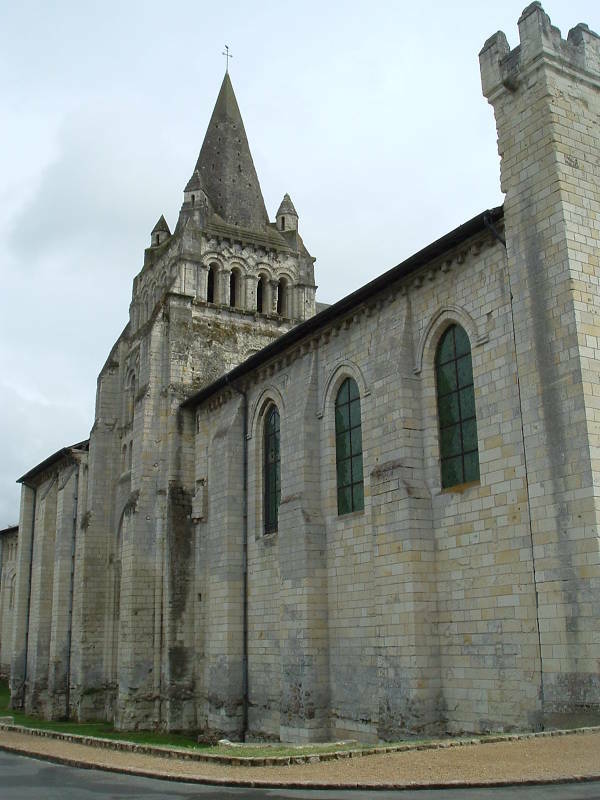 The monks took refuge in Tournus in Burgundy, and became a dependency of the Abbey of Tournus. 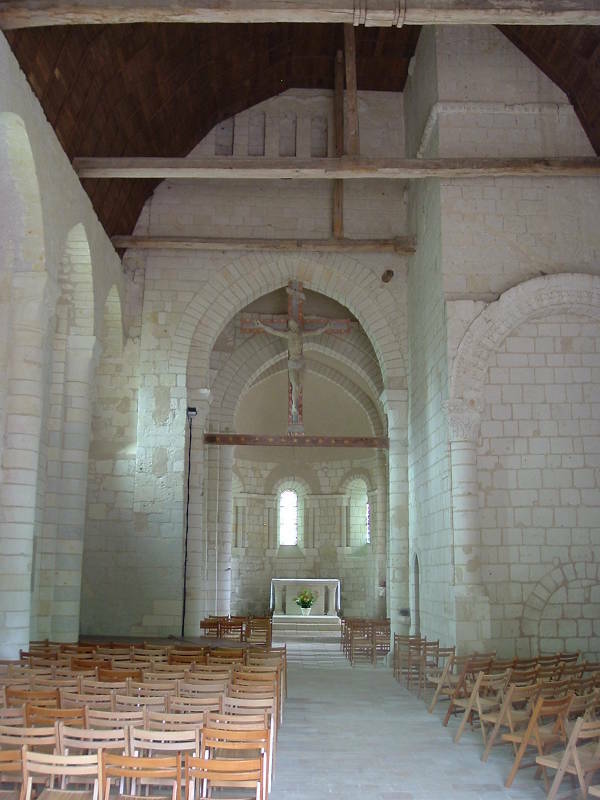 The current priory Church of Our Lady was built between the 11th and 13th century from the limestone of the region. 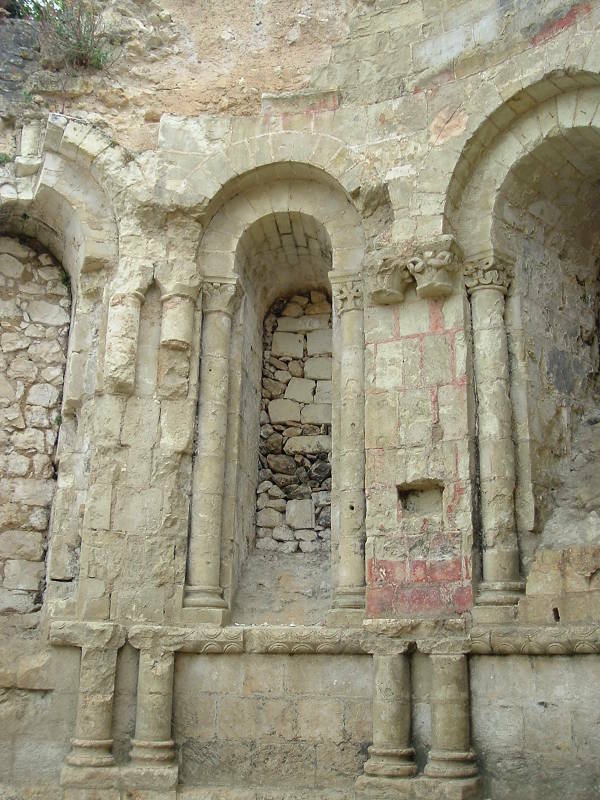 It became a pilgrimage site, as it possessed what was believed to be the Dust Vial of the Grotto of the Nativity. This was a glass vial containing the now dehydrated and powdered milk of the Virgin Mary. 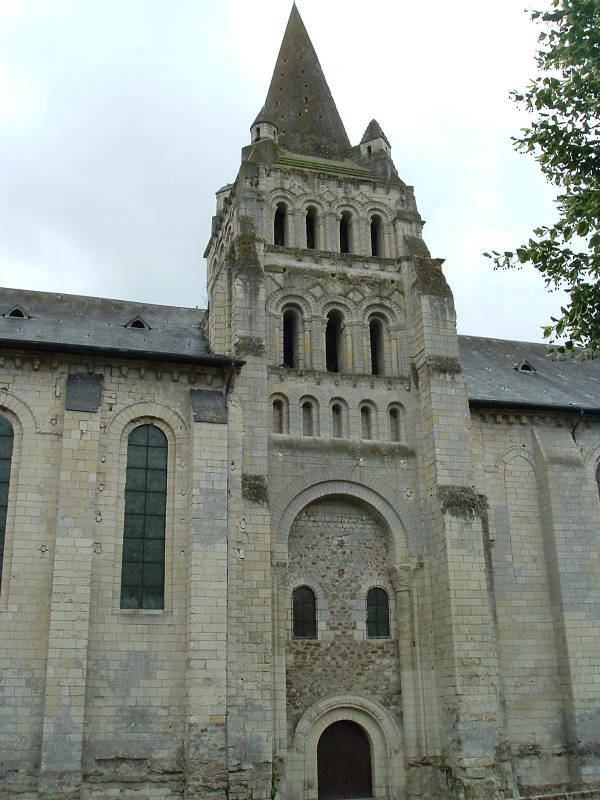 With such an auspicious relic, the church benefited from the support of the lords of Anjou and other nobility. It now contains 223 carved column capitals and mural paintings. 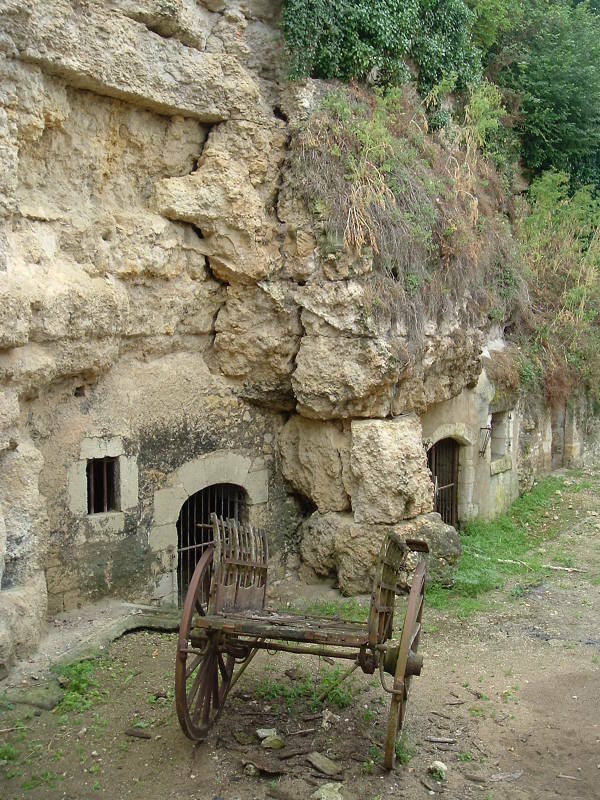 Loire valley wine-making began in the 1st century. 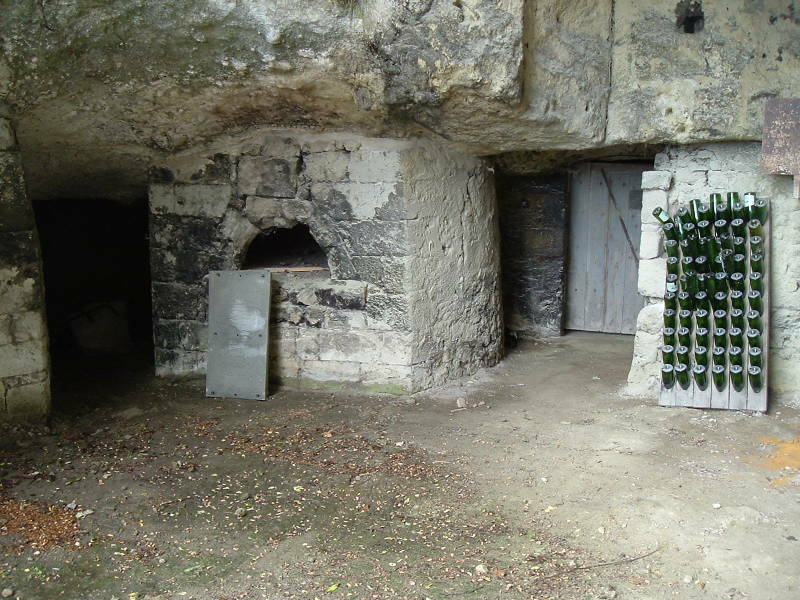 By the High Middle Ages, Loire valley wines were the most valuable in England and France. 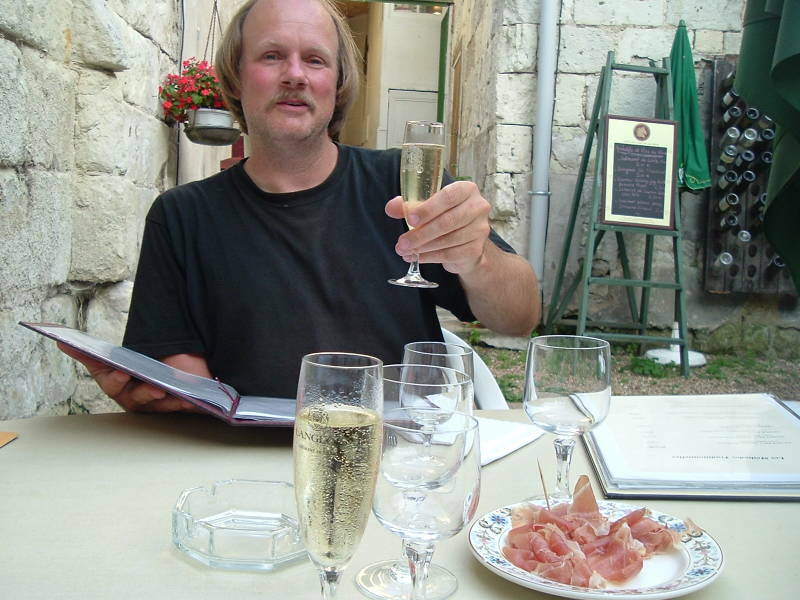 Enjoy a sparkling Saumur wine as you explore the Loire valley. 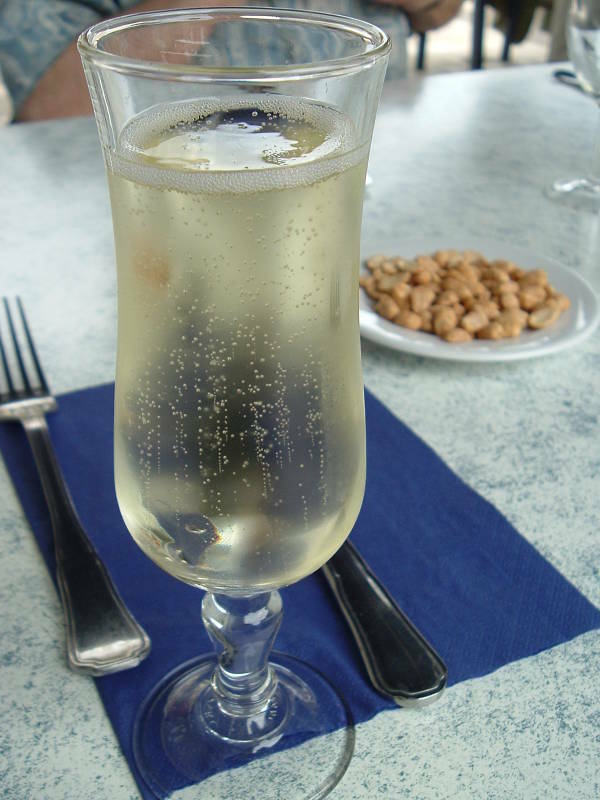 Most of the distinctive sparkling white wines are made with the Chenin Blanc grapes. This style of wine has been made in this area since the 4th century. Pétillant is the term for moderately effervescent wine. In detail, perlant or perlé wine is slightly carbonated, pétillant moderately so, and mousseux has the highest carbonation. 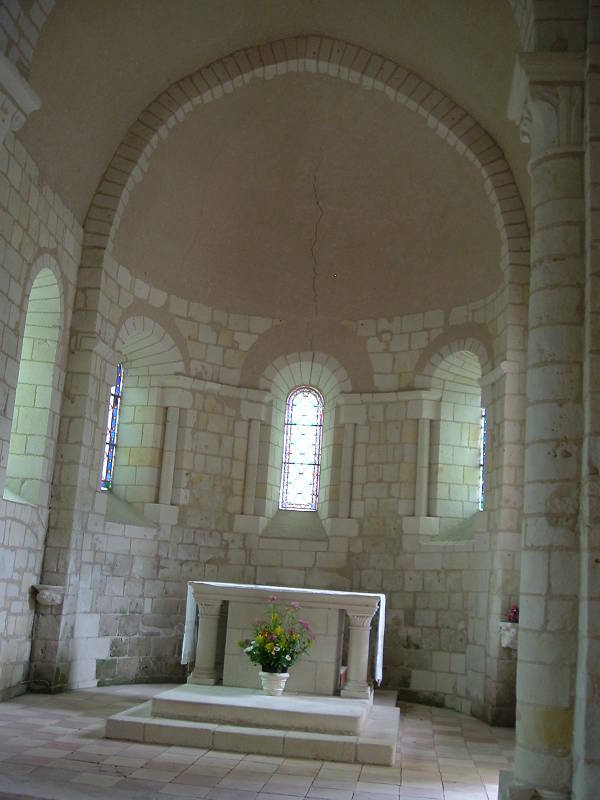 But I think you mainly see just pétillant until you get into specialist discussions. 1,000 hectares produce the red and 400 the white. As of 2016, there were 312 wine growers and 187 wine makers.